We are a data vendor and GIS consulting company located in Pittsburgh, Pennsylvania. 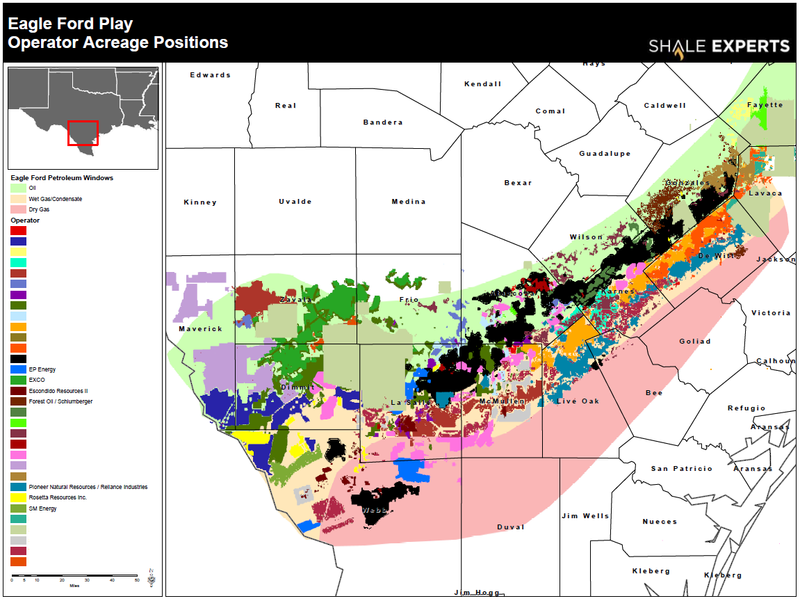 We've provided parcel data and spatial solutions to some of the biggest players across every major shale play in the nation. You won't find an easier purchasing experience anywhere else in the market. Ordering is quick and the data is available to you instantly. Buy only the data you need in the format of your choice in the time frame you require. 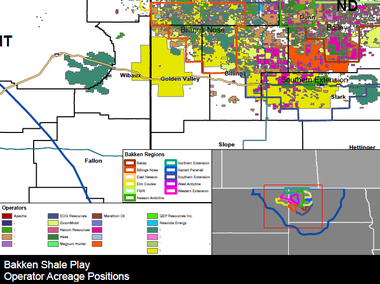 Fast track your analysis by diving into our national database of parcel data, wells, pipelines, production and over 15 additional reference map layers. Bring your data to life by showing it on a map. 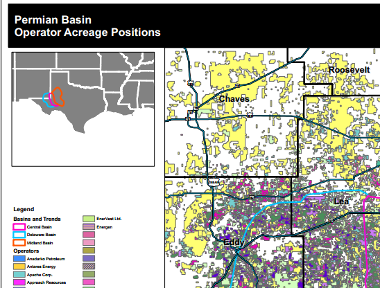 Our spatially enabled database allows you to link and visualize complex data as concise and appealing looking maps. Time is the world's most precious commodity. We deliver quality at the speed of business! We strive to be able to offer you a national selection of parcel boundary information and we take every effort to include the most detailed ownership information available for each county. 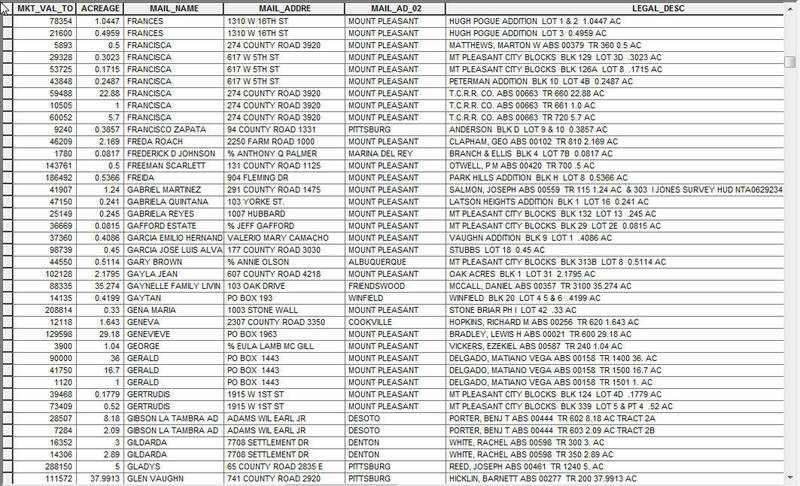 Browse complete list of available counties. We know from experience the level of data coverage and detail that is required for you to stay competitive in a fast paced industry. Our quality standards apply also in terms of service, technical expertise and support. Our dedicated experts are available to assist you with know-how and experience to help maximize your productivity. Bring the power of our experienced staff to your next project. 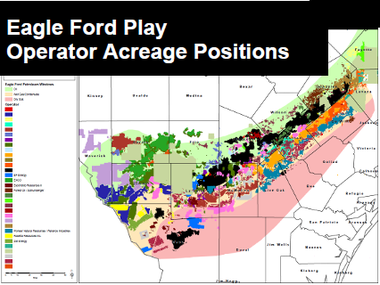 We offer data analysis, GIS programming and high quality cartography. Working in multiple platforms? We specialize in data compatibility and integration with numerous industry standard software applications. Whether you need help using our products or assistance working with third-party tools, we are available to offer support of the highest quality when you need it! 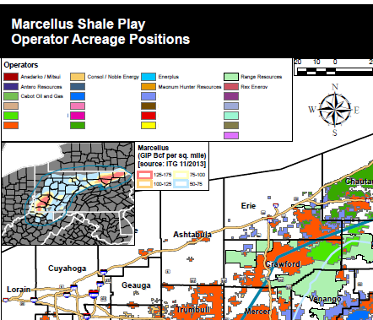 Need to know where the action is happening in a shale play? Our maps tell you the story! Click here to learn more about our maps. Connect with us to be alerted to our specials and to stay on top of the latest news on how data is being used to change the energy industry. Take a quick look at some of our most used features! 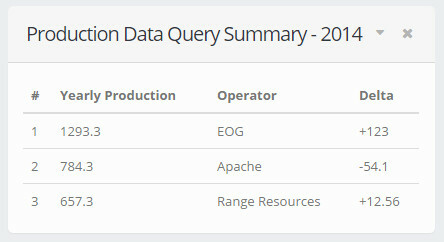 Run queries against the data and display in intuitive fashion. Production Reporting Life of Well. Compare Data Across Companies Over Time. Is your project missing something? Just ask! We will answer your email within minutes.